Developed in 2008 to offer more sonic possibilities to musicians while keeping the qualities of the original Java. Designed to be more flexible, with a little more tonal body than standard Java. The French filed cut delivers a full, rich centered sound with a precise attack. Suitable for many genres but ideal for Jazz, Swing, Contemporary, Funk, Big Band etc. French filed cut for quick articulation and easy attack. Available from Strength 1 to 4 in half size increments. 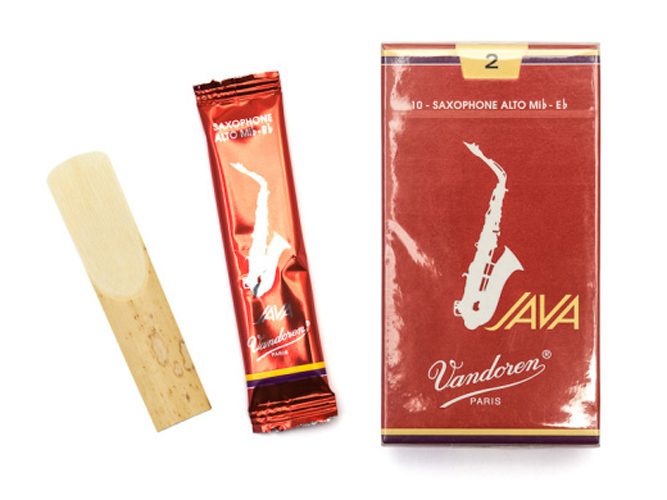 I use these reeds all the time. Excellent reeds not overly expensive. Reeds quality as I would expect. Great new reed. Love the sound produced. Easy and supple. It does seem slightly easier though so you. Ay need a slightly stronger strength.